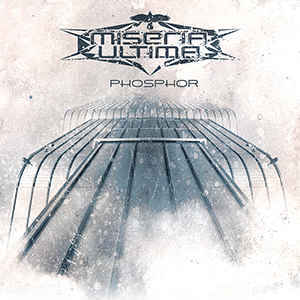 Background/Info: Miseria Ultima is a new name knocking at the door of the dark-electro universe. The Finnish duo Aleksi Martikainen – Kimmo Huhtala set up their band in 2016 and released their debut album at the end of 2017. Content: If you’re familiar with the music taste of Advoxya Records you for sure will agree that this new-coming duo totally fits to the dark-electro and EBM roster of the label. The influences are quite familiar, but the songs have been meticulously worked out. Most of the cuts are ultra danceable while you also will notice a few softer cuts adding a break in between the harder tracks. + + + : “Phosphor” is an album that took me by surprise. Miseria Ultima doesn’t strive for innovation, but have accomplished a sophisticated work. 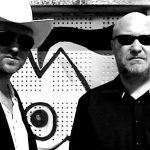 The songs have been recovered with great synth-lines, which are a bit reminding to the 90s approach of EBM and dark-electro music. Some of the songs have been polished with a poppy touch resulting in some atypical choruses featuring leads that are pretty dance-music like. Music and vocals are in perfect harmony. I also have to mention the final cut (cf. “Vertigo”), which more sounds as an experiment with fresh dark-body music with some extra trance elements on top. I like the filtered sound treatments running through this song. This track could be a basis for further new songs. – – – : The few softer cuts bring some diversity although they’re not the best exposure of this album. Conclusion: I already heard interesting new coming bands featured on Advoxya, but Miseria Ultima definitely belongs to the selected list of ‘hottest’ newcomers. This band reveals a somewhat atypical dark-electro format resulting in several great songs. Best songs: “Vertigo”, “Morningstar”, “Shift To Crimson”, “Scarlet”, “Submerged”.